Two popular choices for liquid filtration are bag filters and cartridge filters. Bag filters tend to have the lowest equipment investment costs, and are generally tolerant of a wide range of process conditions, making them a good choice for a wide range of applications. Cartridge filters can be the logical choice for a wide variety of applications with varied flow rates that require sub-micron retention rating, including food and beverage, chemicals, paint and the filtration of acids and bases. 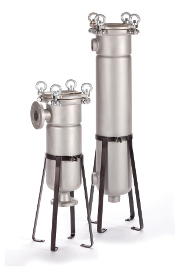 Cartridge filtration can also be an effective choice for pharmaceutical and ultra-pure water applications.